Randomly generated levels are nearly as old as mechanics can get in video games. While initially this tactic was used due to memory constraints, now a-days it’s often perceived as a cost efficient method to add replay-ability to a game. We won’t lie, neither of us at CardinalVirtual are huge fans of randomly generated content in video games, preferring meticulously planned levels that introduce and then build on gameplay mechanics (with plot points woven in). But the idea of randomly generated content definitely has some potential, so here are a few games that use it efficiently and effectively. Imperialism has never been more fun. 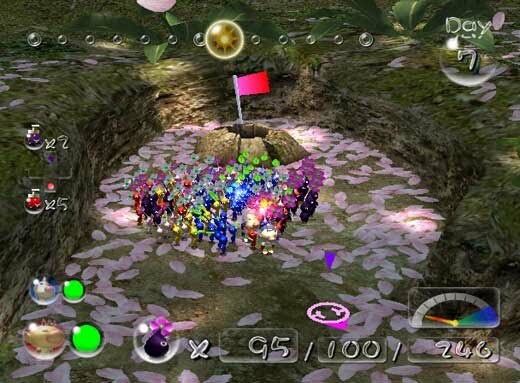 At first, Pikmin 2 largely resembles the first game, travel across immersive, natural environments while using your steadily growing army of pikmin to fight enemies and carry items. Aside from the inclusion of a second captain, this game seems nearly identical to the original. And then you enter your first cave. While the second game looses some atmosphere and immersion because of an over reliance on these caves (a discussion for another time), this area is where the game uses randomly generated content well. 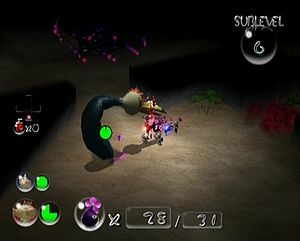 These multi-floored caves contain most of the treasures that you need to find throughout the game, essentially taking center stage and turning the game into a dungeon crawler. While the actual level structure for each floor does not change, the locations of the various treasures, the player’s starting position, the exit, and the enemy locations change with each attempt of the floor. Life’s hard when you’re the size of a quarter. This way of using randomly generated content adds a certain amount of variety and unpredictability, without removing the player’s ability to strategize and prepare on repeat playthroughs, since the content of each floor remains the same(which is important considering the emphasis the series puts on planning and strategy). The Pikmin series is all about exploring a strange and unknown world where you’re at the bottom of the food-chain, so adding this level of uncertainty can really add to the tone of the game on repeat playthroughs, without making things overly frustrating. Even this kind randomization can turn out to be frustrating sometimes (especially on the more linear floors), as the varying treasure locations can make you feel very unlucky sometimes, but even this fits the tone of the game. After all, surviving in the thick of nature definitely requires some luck. Oh well, at least there’s no Tank. 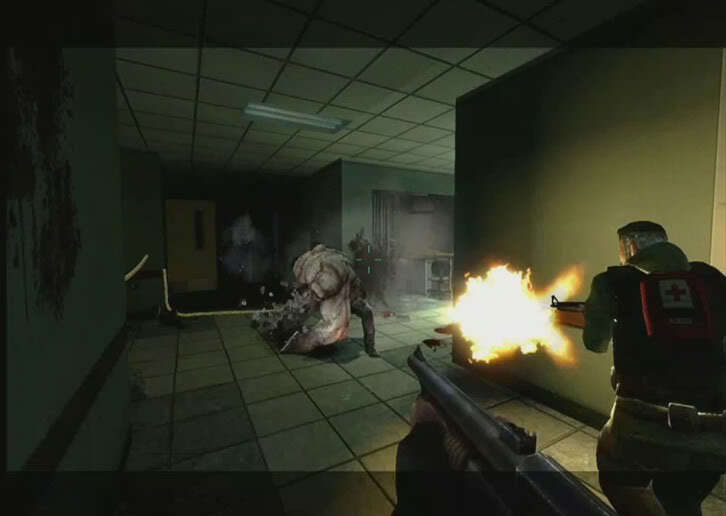 Like Pikmin 2, Valve’s tense zombie themed FPS, Left 4 Dead, makes use of randomized content in one specific area, the enemy placement. Okay, so technically Left 4 Dead’s “AI Director” isn’t really random, since the enemy placement is affected by players actions and performances, but the experience feels as if it is. You’re never thinking, “how is what I’m doing here going to affect what spawns later?” You’re focused on surviving and you’re hoping against hope that a hoard won’t spawn or that the sobbing you hear in the distance isn’t coming from a witch who’s weeping in a place you can’t avoid. It’s simply intelligent randomization, what you’d expect from the company that gave us expertly planned games like the Portal series. Left 4 Dead and it’s sequel thrive as zombie games specifically because of the uncertainty that the AI Director can provide. It ensures that each time you play one of the game’s four levels, you’re in for a slightly different experience, which is very important since the game is trying to get as much replay-ability as it as it can. In fact, the game excels even more once you’re somewhat familiar with the levels. Walking through a city you know but being uncertain exactly where and what danger will strike is exactly how a zombie apocalypse should feel. 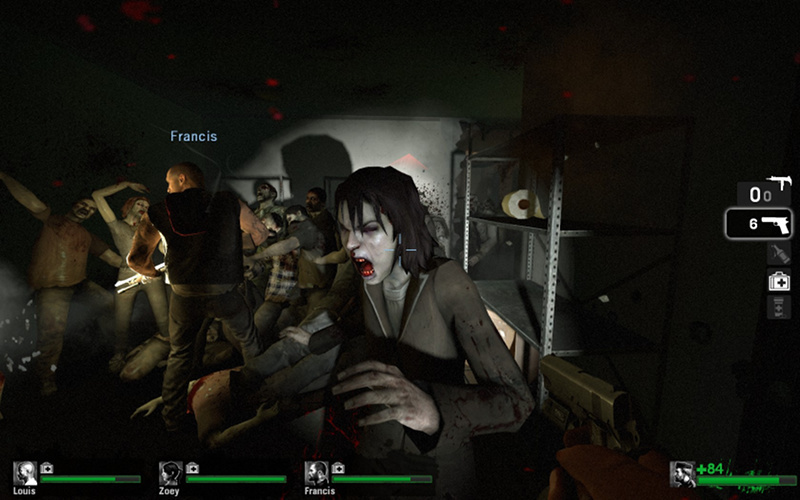 That’s why the Left 4 Dead games stand as such definitive zombie titles. The joys of randomly generated levels. This final selection uses randomized content more than any of the previous two games in this article. 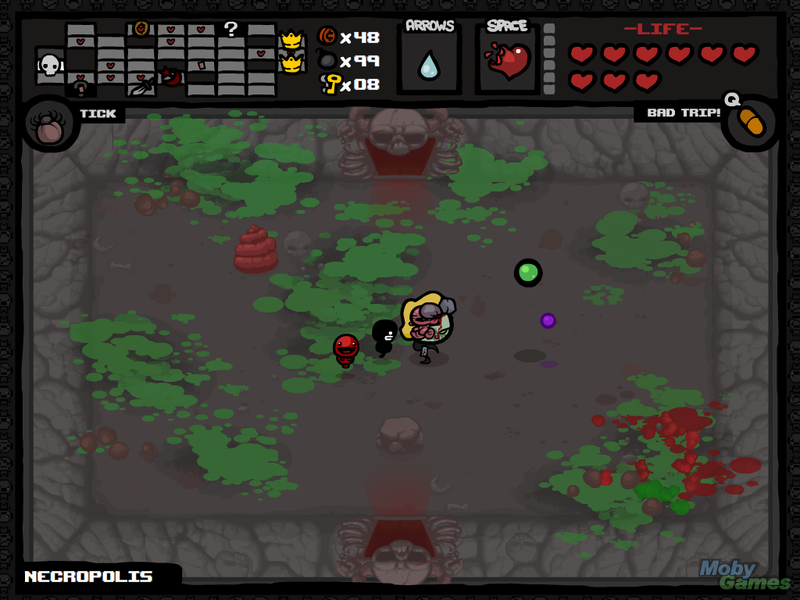 In fact, being a roguelike in nearly every way except the ASCII graphics, The Binding of Isaac is much closer to a typical game that makes use of randomization and is usually not the type of game that either of us here at CardinalVirtual plays. If we had to say why it works for us (excluding the great art, the creepy tone, and the religious symbolism) we would say it’s because of the length. 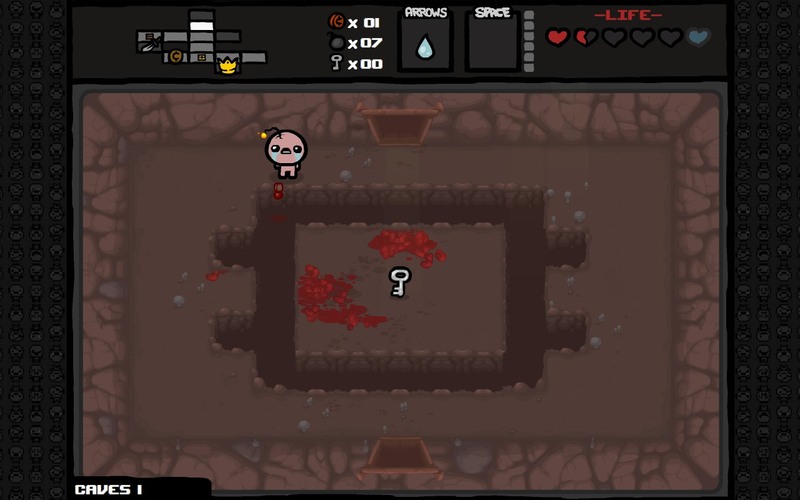 A typical playthrough of Isaac will last a little over half and hour (closer to 45 minutes once you get better), so you’re never in danger of losing that much progress due to a particularly difficult setup of rooms, even in the later areas of the game. Also, since a big part of the game is unlocking new items and bosses into the rotation, you can still feel like you’re accomplishing something even if you don’t complete the game on every attempt (and believe us, you won’t). Finding items also makes you look more…interesting. Overall, the selection of items that you gradually unlock are fairly well balanced. There are certainly some maddeningly useless ones thrown in there as well as a few that actively hurt you (damn health lowering pills), but there are enough good ones so that you’ll usually have a decent shot at making it to the end. And then, there are the empowering playthroughs where you happen to find a great selection of items and power through the game, demolishing all resistance. These playthroughs make all the frustration worthwhile.